How Many Solar Panels to Offset your Electric Car? Driving an electric vehicle (EV) is a great way to save on fuel costs while also helping to reduce greenhouse gas emissions. Some EV owners choose to go even further by adding rooftop solar to power their electric car. In doing so, their car is literally powered by sunshine! Not only is this a game-changer for transportation, powering your electric vehicle with solar is more economical over the long term than purchasing power from the grid. Good to keep in mind that these are today’s electricity rates. The cost to maintain our current electricity infrastructure coupled with the price of new generation projects means electricity prices are only going to rise. So, if solar to power your electric car is a better option for both the planet and your pocketbook, how many solar panels do you need offset your annual driving? 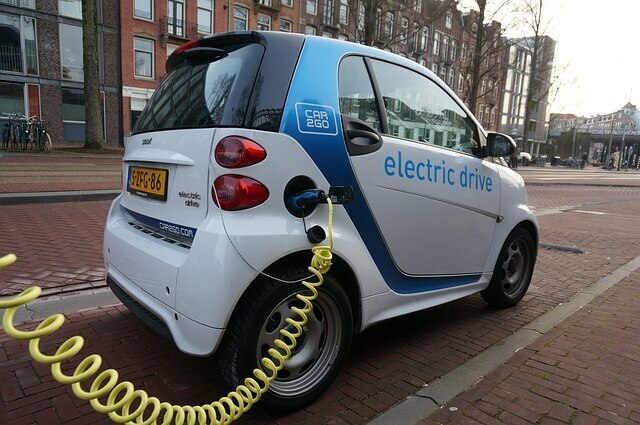 That comes down to a quick calculation to determine how many kilometres you drive per year, the range your battery has and how many kilowatt hours it takes to charge it. 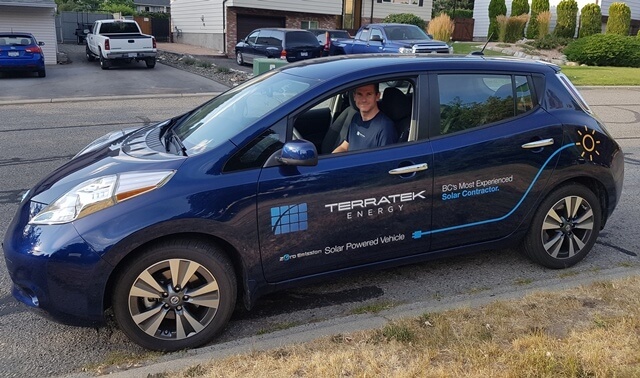 Our Terratek Energy Okanagan division recently purchased a Nissan Leaf, which we will use as an example. Let’s assume we drive 30 kilometers per day including weekends. Over a year, that’s nearly 11,000 kilometres. Our Leaf has a battery that has a 30 kilowatt-hour capacity. With that capacity, we can drive about 180 kilometres per charge. This means that over a year, our car needs a solar system that produces about 1,800 kilowatt-hours per year [(11,000/180) * 30 = 1,800]. In the Okanagan, a 1.5 kilowatt grid tie system would do that. This is a small system that would include 6 solar modules at roughly 250 watts each. A solar array of this size would need a little over 100 square feet of south-facing roof space. A home solar system lasts for 25 years and even longer. This means you can enjoy driving an electric vehicle fuelled by sunshine for decades without having to worry about increasing gas or electricity costs! One of our customers has enough solar to power her home, electric car and generate credits from BC Hydro. Click here to read her story. Terratek Energy is the leading renewable energy service provider in BC specializing in consultation, design & installation of grid tied solar electric systems for residential, commercial and institutional customers.